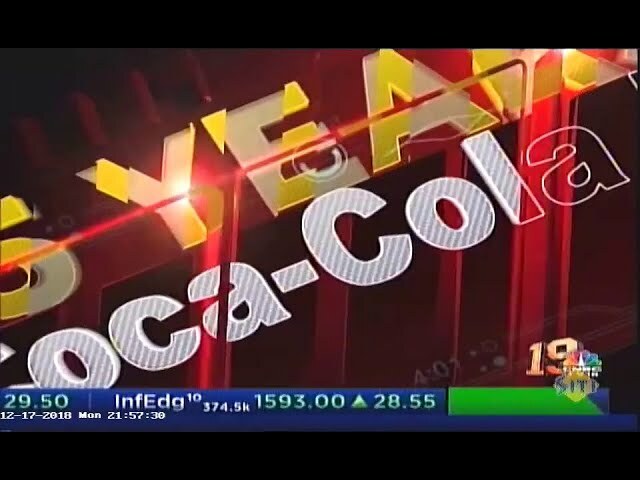 At 1:27 p.m. on July 1, Hindustan Coca-Cola transitioned to the country’s new tax system, Goods and Service Tax (GST), when it raised an invoice on one of its distributors in Karnataka. A few hours earlier, GST had been formally introduced in the country in a special midnight session of the parliament. The new tax system helps the central and state governments widen their indirect tax base further and heralds the country into a single marketplace for goods and services. Hindustan Coca-Cola employees have been working tirelessly over the last few weeks to ensure that its systems are geared for the launch of the GST in the country. The company has also carried out enablement, sensitization and capability building sessions for its business partners. In more than 70 sessions, 100 trainers of Hindustan Coca-Cola conducted country wide capability-building sessions for its 4,000 strong distributor base. At Bengaluru, headquarters of Hindustan Coca-Cola Beverages (HCCB), CEO Christina Ruggiero, dressed in a traditional Indian salwar kameez, handed over the first invoice under the new tax regime to the business partner. Within the next three hours, the company had issued 90 other invoices to its business partners. Christina took over as CEO, in her first assignment in India, three weeks ago. Lauding the company’s teams that have burnt the midnight oil to get the systems ready, Ruggiero said, “You can give any challenge and India can find a way to make it work." The new indirect tax system is based on a national IT infrastructure backbone called GST Network (GSTN). Companies will share tax details with the government on the GSTN every month, which will be more efficient than the earlier quarterly method. After their efforts to be compliant with the government’s systems, Coca-Cola partners in India can carry on with business as usual. A little earlier, a formal ceremony at the HCCB offices witnessed the chanting of holy mantras for 10 to 15 minutes as the priest blessed the company and its operations. Across several communities in India, seeking divine blessing for a profitable business venture is a regular practice. The ceremony and the formal handing over of the invoice were witnessed by HCCB employees from across the country through video links. Implementing the changes has not been an easy task. Even a day or two ahead of the rollout, there were some changes announced by the government. These changes had to be incorporated in the system, making the job of completing the task in time even more challenging. Since the Indian and global team at Coca-Cola were working in close coordination, it managed the transition to the new tax system smoothly. The challenges of implementing the new system in a short time have been so acute that there are reports of some companies shutting down their invoicing system for a few days.